When existing borrowers, Sidney and Jacquelyn Fulton needed working capital funds, Catawba Regional was able to assist. The Fultons own five Popeye’s locations primarily in the Orangeburg and Columbia, SC areas. Popeye’s offers Southern styled chicken in pieces, wraps, sandwiches, bowls, wings and tenders. Signature sides include Cajun rice, mashed potatoes, Cajun battered fries and red beans and rice. 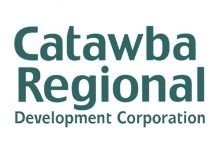 Funding was provided through Catawba Regional’s Revolving Loan Fund program.